When my first son was two years old, the toys began to get out of hand. He had so many that our living room became a play room and it was utterly impossible for him to clean up his toys by himself. We went through all of the toys and first decided which ones to keep that were his absolute favorites and which ones to donate or put at the grandparent’s houses for play time there. One box out at a time. When the kids are ready, we disinfect and clean up the toys, put that box back in the closet and they get to pick a new one. If they don’t request a new box, I usually change boxes every week. That way, the kids don’t see the same box again for 5 weeks. They’re like brand new toys all over again! To top it off, the most beautiful part of this toy organization method is that clean up is manageable. At the end of the day when it’s time to clean up, the boys are completely able to clean up their toys and put them back in the box all by themselves. This gives them a sense of responsibility and accomplishment. 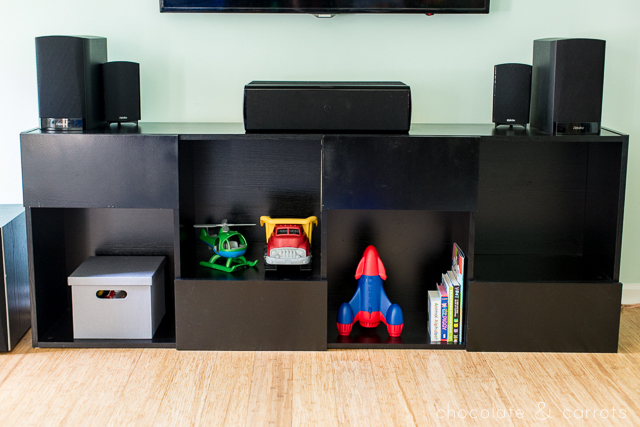 It’s also a great way to keep a clean house, especially when the play area is communal. Happy children and happy parents! When birthdays or holidays roll around and they get new toys, we go through all of the toys again and decide which ones they really love and can’t live without. The ones that don’t fit in boxes get donated again. This way, the toys never get out of hand on a daily or a lifetime basis. We’ll only have enough toys that will fit in our boxes/closet and however many out at a time that the children can can up themselves. Life is good. 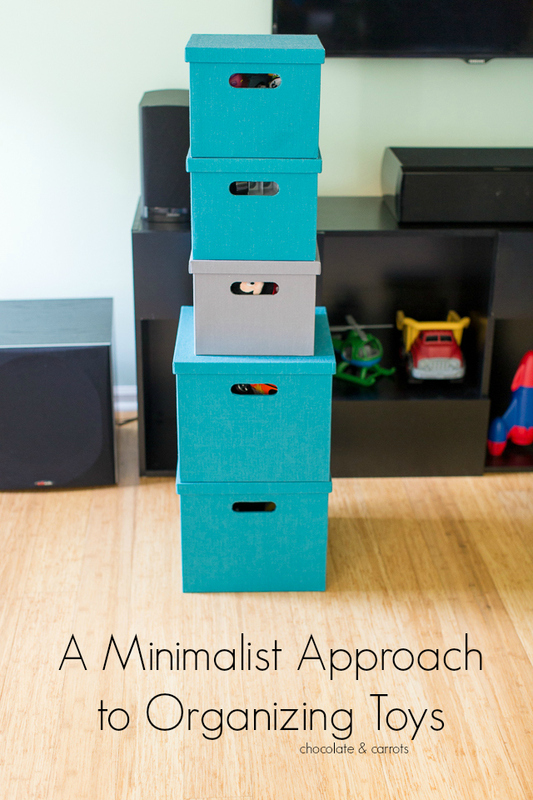 Go minimalist with your toys and your kids will learn to be more creative with their toys and learn the responsibility of cleaning up after themselves. Are you up for the challenge? 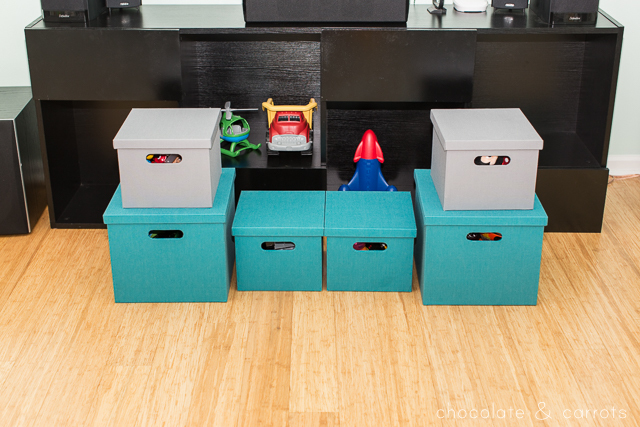 How do you organize the kid’s toys? I love that I found this post. We do a kind of toy library. We have a few boxes and then a shelf with sets. They can check out what they want to play their game and then check it back in at the end of the day or when they are ready to play something else. I’m not perfect at implementing it but when we stick to it it works really well.